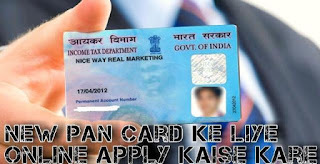 Hello friends aaj ham New PAN Card Online apply karne ke baare me batane wale hai. sabse pehle mai aapko bata duta hu ki PAN Card kya hai ? Friends PAN card ka pura name Permanent Account Number hai. PAN Card ko Income Tax Department Me diya jata hai. Pan card me 10 Digit Alpha Numeric number jote hai. Pan card Financial Transactions karne ke liye and Banking/Government work karte samay bahut jaroori hota hai aur bank me 50,000rs se jyada deposit karne par bhi PAN card manga jata hai. 50,000 se upar transaction karne par PAN card manga jata hai. Fix deposit me tax se bachne ke liye iski jaroorat padti hai. Identity proof me aap iska use kar sakte hai. Insurance Policy leni ho tho iski jaroorat padti hai. Koi bhi Government related Work me aap isko use kar sakte hai. Income Tax Department ki online site me Pan card form fill karna bahut easy ho jaya hai. Iske Latest update me aap Aadhar Card se document ko verify kar sakte hai. Aapko Documents ko Income Tax Department me submit karne ki jaroorat nahi hai. Bass online photo and Document upload kare aur nearest PAN card center me submit kare. Applications Type me New PAN-India citizen (form 49A) select kare. Category Me Individual select kare. 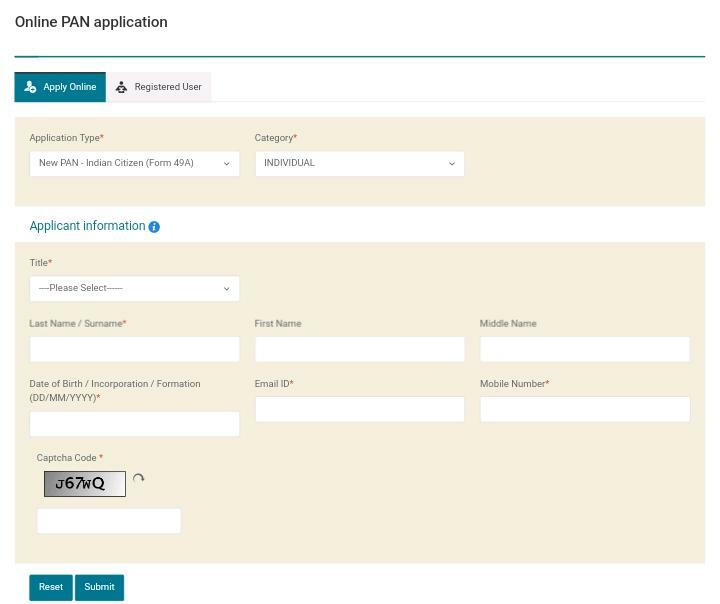 Application information me apna name, surname, Birth date, Email ID, Mobile Number, aur Captcha code enter karke submit kare. Submit button par click karne ke baad Ab Next screen par success Message show hoga, jisme Ek Token Number bhi show hoga. Agar aap koi technical problem se form fill nahi kar pate hai tho baad me is token number se login kar form fill up kar sakte hai. 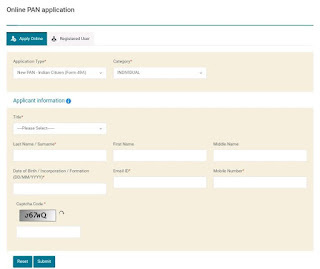 Ab aap Continue with Pan application form par click kare. 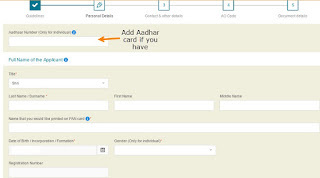 ab aapko PAN card form fill up karna hai jisme 4 section hai. One by one sabhi form me details fill kare. 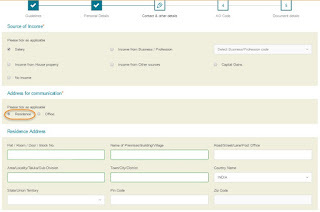 Full Name Of Applicant me apna name, surname, Birth date apni details add kar next button par click kare. Have You Ever Know By Other Name me No select kare. Details of parents me aap apne father or mother kiska name apne PAN card ke sath add karna chahate ho wo likhe. Now Next button click kare. Source of Income me apni income source select kare. Address Of Communication me apna residence select kare. Residence Address me Apna Home Address add kare. Office Address me bhi same home address type kare. Telephone and Email address me apna mobile number aur Email I'd type kare. Yaha par Area Code, AO type, Range Code and AO No. Ki details type kare. Is details ko automatically add karne ke liye For Help On AO Code Select From The Following me si Indian Citizen select kare. Next apna State and City select karke apni City ka area code choose kare jaha aap rehte wo select karte hi Area code, AO no. Details add ho jayegi. Aur next button par click kare. Section 4 : How Do You Want To Submit Your PAN Application Document ? Application submit karne ke liye aapke pass 3 option hai. 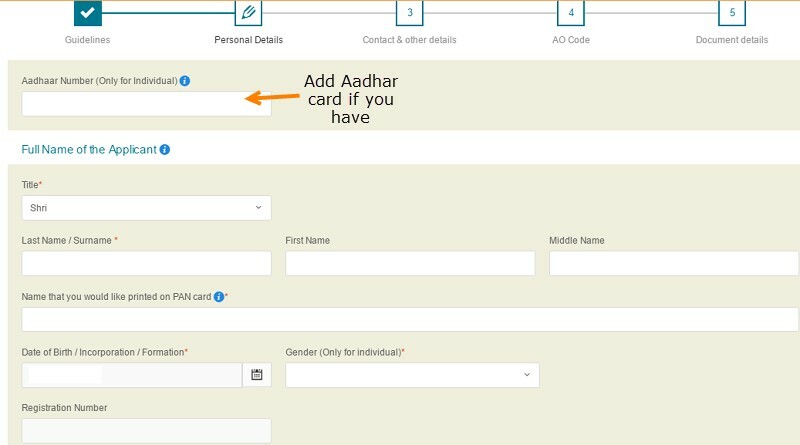 Agar aapke pass Aadhar card nahi hai tho aap dusre 2 options me si koi option choose kar sakta hai. Options select karne ke baad Identity Proof, Address Proof and Birth proof me apne documents ko select kare. Agar apke pass aadhar card hai tho teeno options me aap aadhar card choose kar sakte hai. Agar aapne Document send karne ke liye Aadhar Card select kiye hai tho aapko apna phote, signature aur Aadhar card ki copy upload karni hogi. Ab aap submit button par click kare. Form ko submit karne ke baad aapko ek baar form ko complete check karna hai aur proceed pe click karke application ko finally submit karna hai. Form ko confirm submit karne ke baad Next screen par aapko 110 rs pay karna hai. Aap online internet banking, credit card, debit card or demand draft se payment kar sakte hai.successfully payment hone ke baad aapko acknowledgement slip provide karega. 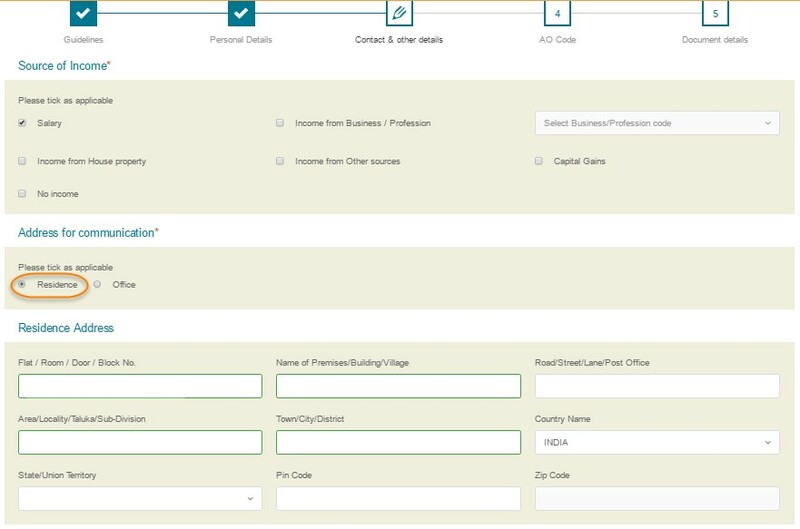 Online form fill karne aur payment karne ke baad acknowledgement slip ki copy and identity proof aur address proof ke sath apne nearest PAN Card center me submit kare. Applications Track Kaise Kare ? Application status track karne ke liye click kare and 15 acknowledgement number type kare. I hope ye Information aapke liye kaafi helpful hogi. Agar aapko pan card online apply karne ke baare me ye post pasand aaye tho social media par apne friends ke sath share jaroor kare.